Over the past few months, much has been made over the rescue of Pfc. Jessica Lynch. Her dramatic rescue from a Baghdad hospital on April 1st was the lead story carried around the country and one of the most discussed events of the Iraq War. It also became one of the war's most controversial events, as was her capture a week before. Initial reports told of how she emptied two revolvers as her attackers moved in on her and how she was shot and stabbed. But it all made good headlines. And will be turned into movies. Unfortunately, none of this turned out to be true and neither was rescue story. An uproar ensued about the deceitful way these events were blown out of proportion. And rightly so. But in all the fracas, something important about the coverage of the incidents was lost. Jessica Lynch wasn't the only American captured and she wasn't the only one rescued. But she was the only one garnering the headlines. Everyone's heard of Private Lynch. There was even the confusion (intentional?) where "Saving Private Ryan" was substituted for "Saving Private Lynch." But why were the other POWs being ignored? 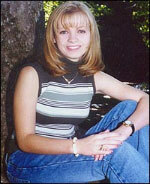 Why was it her name on the lips of every news anchor? Simple. 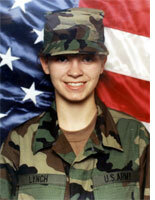 U.S. Army Private First Class Jessica Lynch is a woman. More precisely, Pfc. Lynch is the poster girl for women in combat. It is for this reason and only for this reason that the subversive controlled news media made hers a household name. She became emblematic of the radical feminist dream of strict equality of the sexes, a dream that the treasonous media has worked hard to bring into reality.